"Having Ketia's support during college was indescribable -- she has continually encouraged me to work hard, and I have. Thanks to her continued scholarship, four part-time jobs, and other financial assistance, I've been able to not only earn my bachelor's degree but will be graduating with my master's debt free. I'm ready to take on the world!" 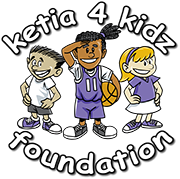 "The Ketia4Kidz scholarship was a huge help and played a big part in contributing to my education and success. I'm so grateful for the financial help that the foundation provided, I wouldn't be where I am today without it!" "I would like to take the time to express my utmost gratitude for this scholarship offer which will undoubtedly lighten the financial burden I will encounter as I pursue a higher education.Having not to worry about impending college expenses while I seek for a college education is an almost indescribable blessing. " "Thank you for selecting me for the Ketia4Kidz Adrian & Corena Scholarship! I appreciate your support in my education and interest in my future. The money will be put to great use and I look forward to making a difference in the world." "Not only has the scholarship helped me financially, but it also shed light on the large community of people who are thankful for the sacrifices military children make on a daily basis. I feel incredibly blessed to have been able to connect with Ketia and the rest of the network of people making this blessing happen!" "This scholarship for military children has greatly helped my family and I to afford my first year of college, and it will continue to assist us as I continue on in my college education to enter the medical field and provide assistance to those in need." "This scholarship has of course helped me financially, but the bigger impact has been all the love I have received from this foundation and getting to show my appreciation for the military." "This scholarship assisted me with paying for my tuition while also helping me realize how great it is to be a military brat. I'm glad this scholarship is around to help military kids further their education." "Ketia4Kidz has not only helped me financially in my academic studies, but it has also imparted to me the value of community. Being a recipient of this scholarship has brought me closer to military brats I have never met through their blog posts, given me the chance to influence others my words, and me me more aware and thankful of the support system I have currently." "Less stress over finances equals more time to succeed." "The organization has had a positive impact; working out how I'll pay for college was eased by the scholarship. It isn't just the money though, the blogs reminded me that someone cared about military kids. I don't feel like we're overlooked, we're offered plenty of benefits through programs or etc, but I feel like there are few people who are looking to make sure all the experiences of the military child are heard." "This scholarship will help pay for books and expenses." "This scholarship will help me pay for a quality undergraduate degree that I can use to succeed on the LSAT." "Obtaining a college education wouldn't have been possible without the Adrian & Corena Swanier Education Scholarship." "I feel this scholarship will help me realize an opportunity I felt I did not have a few years ago. I always felt that I would not be able to function in the world with my autism. Now, I can see a different future and this scholarship will help me get that much closer." "With this scholarship I can focus more on getting the most out of my college education and less on a part-time job." "This scholarship will help me to breathe easier, live and eat!" "The cost of college tuition is a large weight not just on me, but on the whole family. This scholarship will go a long way towards alleviating that weight."